The EC in 2017 had given the 'hat' symbol to the Sasikala-Dhinakaran group after it froze the use of the 'two leaves' symbol. However, in November 2017, the poll panel ruled in favour of Palaniswami faction and allotted 'two leaves' symbol to them. Chennai: The Supreme Court has agreed to hear a plea of former AIADMK leader TTV Dhinakaran and VK Sasikala challenging a Delhi high court order granting the 'two leaves' symbol to a faction led by Tamil Nadu Chief Minister E K Palaniswami. A bench led by Chief Justice Ranjan Gogoi issued a notice to the Election Commission of India (EC) on the plea of Dhinakaran in which he requested that that they be allowed to use the common symbol of "Pressure Cooker". The bench, also comprising justices Deepak Gupta and Sanjiv Khanna, sought a reply by March 25. 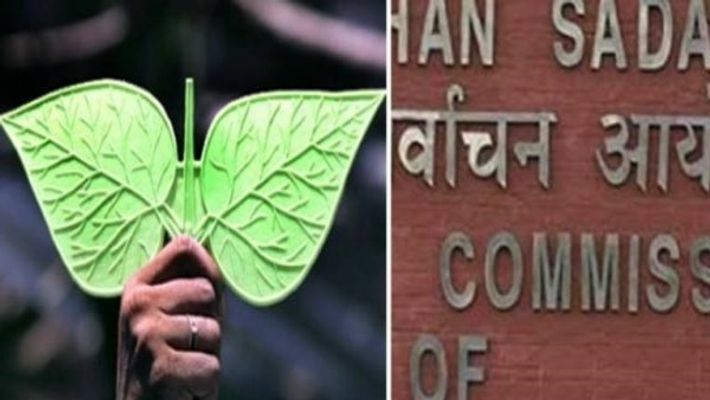 At the outset, senior advocate Kapil Sibal, appearing for the Dhinakaran faction said that the EC has not offered them a common symbol. Senior advocate Mukul Rohatagi, appearing for the Tamil Nadu Chief Minister E Palaniswami-led faction said that, "I am the real AIADMK and he (Dhinakaran) has already floated a new party". The bench said that it will hear the matter on March 25. On February 28, the high court had dismissed the pleas of Dhinakaran and VK Sasikala challenging the Election Commission's order granting the 'AIADMK' name and the 'two leaves' symbol to the faction led by the Tamil Nadu chief minister, stating that the figures showed the Palaniswami-led group "enjoyed a clear majority". It had upheld the EC's decision of November 23, 2017, saying none of the grounds of challenge raised by the Dhinakaran-Sasikala faction were made out and there was "no infirmity" in the poll panel's order allotting the party name and symbol to the group led by Palaniswami and his deputy O Panneerselvam. After the high court order was pronounced, Dhinakaran and Sasikala had urged the court to direct the EC not to allot the 'pressure cooker' symbol to anyone during the next 15 days so that they have time to move the apex court and seek appropriate relief from there. The Dhinakaran-Sasikala faction had contended before the court that EC, while trying to ascertain who enjoyed the majority support, ought to have considered the views of the primary members in the party as well and not just its organisational and legislative wings. Rejecting the argument, the high court had said the petitioners (Dhinakaran and Sasikala) had before the EC claimed that the organisational and legislative wings best represented the wishes of the primary members and "subsequently, changed their stand when the members of such wings changed their allegiance". The court while referring to the numbers of General Council members, Members of Parliament and MLAs in support of both factions had said, "The aforegoing figures show a clear majority enjoyed by the faction led by the respondents (Palaniswami-Panneerselvam)." The symbol issue has been lingering since April 2017 in the aftermath of the announcement of the bypoll to Radha Krishnan Nagar constituency in Tamil Nadu following the death of AIADMK chief J Jayalalithaa in December 2016.